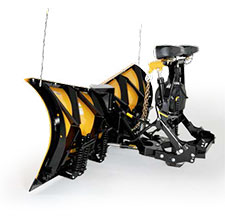 The XV2™ v-plow features extreme flared wings that soar from a 31" center height to 39" at the outer edge on 9' 6" models. 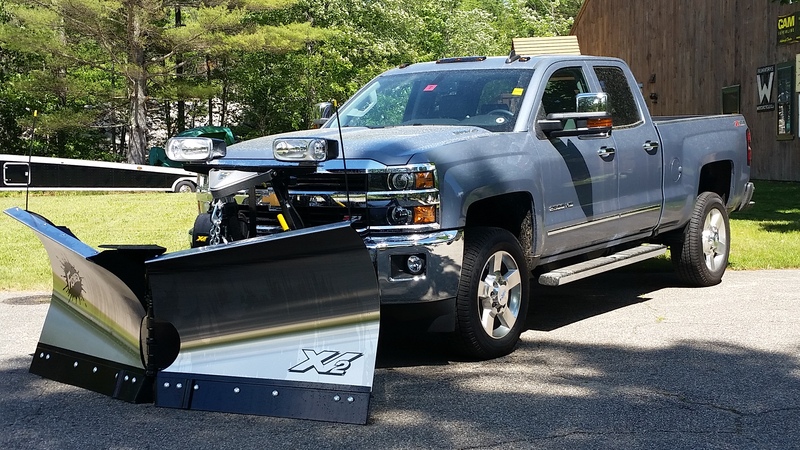 The XV2 v-plow is available in premium corrosion-resistant stainless steel in in 7' 6", 8' 6" and 9' 6" widths, and in powder-coated steel in 8' 6" and 9' 6" widths. InstaLock double-acting cylinders are standard on the XV2™ allowing the operator to lock the wings together to use the V-plow in straight blade mode, with single button control. Double-acting cylinders also hold the wings firmly in place, for clean, efficient back dragging. All in all, this new design to Fisher’s V-plow will make a lot of customers happy! The object of the game is to move snow, and move it as fast and efficiently as possible. THIS, will get it done!! 6' 10" full V 914 lb optional 3/8"
7' 8" full V 957 lb optional 3/8"
8' 7" full V 1044 lb optional 1/2"
Click the button below to add the Fisher XV2 Series Snow plow 8'6", 9'6" to your wish list.